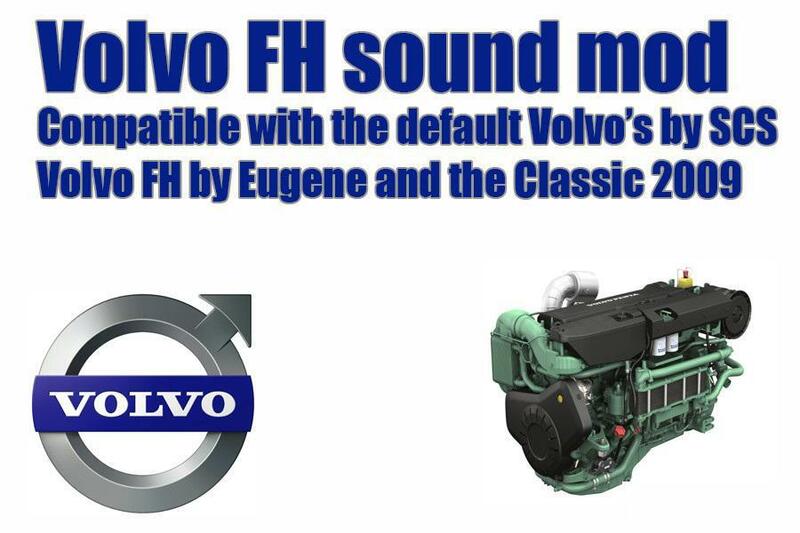 Volvo FH sound mod which is made of the basis sound of the Renault Premium, Renault and Volvo using the same engines and the sound is a little different but most of the people don’t hear the differents, so this mod contains one Volvo engine sound, please do not ask for a D13 or something, it’s a waste of time for me to make a sound which is almost compare to each other. The basis sound is made by Kriechbaum but I reworked the sound files to make it sound like a real life Volvo, it’s compatible with the default SCS trucks and the FH Classic and Eugene his Volvo FH. changed the 1000rpm sound file because it was the wrong file.